How clever is this WA husband-and-wife duo?! 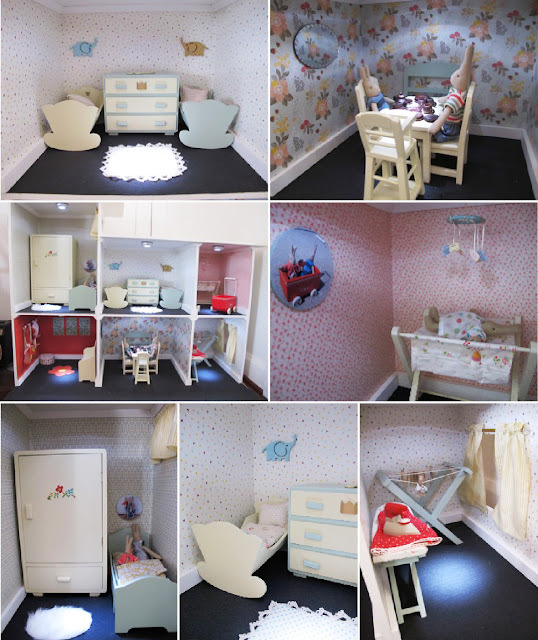 They decorated a dollhouse for daughters third birthday - what a lucky little girl! After having no luck with finding a suitable wallpaper they stumbled across our wrapping paper at My Hawthorn's Paper Fusion; it turned out to be the perfect scale for this little bunny house (the gorgeous bunnies, by the way, are from Danish designer Maileg). Their 6 year old son helped with painting the furniture. Too cute for words! Did you made the props all by yourself? the design is cute and so as the furniture like it was real.